One of the highlights of my Christmas reading, and reading in general, last year was A Mystery in White a Christmas crime classic from the wonderful British Libraries crime classics series which I have been buying throughout the year since. 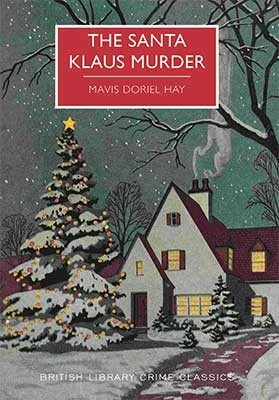 So I decided to follow that tradition this year with another of their Christmas crime, The Santa Klaus Murder by Mavis Doriel Hay which I have been devouring over Christmas and Boxing Day. There is nothing like a murder mystery to take you away from the Christmas stress, something observed at the start of the book. Those days of waiting for Christmas, after the family has collected at Flaxmere, are always difficult. The children are excited and noisy and everyone is on edge, being afraid that things won’t go smoothly and that Christmas Day will not be quite the festival of good will which we have a right to expect. Of course, none of us anticipated the shocking tragedy which was to occur, but I always do feel that families which have once broken up are best kept separate. The Melbury family have all come together for Christmas despite the fact that there are several fractures within them. Lording it, quite literally, over them all is Sir Osmond Melbury who has spent much of his life dictating his children’s life through bribery over the inheritance they will or won’t have dependent on their actions. Well, bar his son George who being the son and having extended the line is safe in the knowledge he will be left with plenty. For the daughters it is quite a different affair. Hilda married and had a daughter, Carol, with someone Sir O didn’t like and who since being widowed hasn’t been disowned yet nor has she been helped. Edith and Eleanor have been wiser marrying the men that their father deemed fit; though one was lucky marrying someone she could love, the other a man she would have to despite loving someone else. Youngest of the brood Jennifer is now in a dilemma as she loves a man, Philip her father doesn’t, in fact invited this Christmas is Oliver who Sir Osmond is clearly much the keener on, shame then when he comes to be the one, dressed up as Santa, who discovers Sir Osmond shot in the head on Christmas Day and becomes the prime suspect. At the end of August, as soon as Eleanor, Edith and George had news from Jennifer of their father’s illness, they, and George’s wife, all swopped down on Flaxmere like birds of prey. They hovered around, with flutterings and solicitous inquiries after his health, which thinly disguised their anxious peering and pecking after any shred of evidence to the likeliness of his sudden death and the possibility that he was reconsidering his will. You see before his death Sir Oswald, not being a complete patriarchal monster – just mostly, had decided it would be fun to have someone dress as Santa to give the gifts away, who I mentioned is none other than Oliver who becomes prime suspect. Well, this all gets all the more tricky when early on it is deduced that there was not one Santa Klaus but two, but were they working together or was one working with someone else in the house, or alone, to bump off the old miser and benefit from the money left after his death. This is all within the first 80 or so pages. So Colonel Halstock has a right old job on his hands and we the reader do too as we try and figure it all out, which of course I loved. I really enjoyed Mavis Doriel Hay’s plotting and structure with the book. As the book starts out we are taken into the accounts of Philip, Hilda, Jennifer, Mildred and Grace who all give us their view of events on the lead up to the murder when Colonel Halstock takes over. We later (not much so I am not spoiling anything) discover that these were all accounts asked for from Halstock so he can try and work out who, if any of them, are telling the truth. This makes them all unreliable narrators, one of my favourite things in fiction, as some may remember things wrong or simply be lying whether it is to cover some family/illicit secret or the crime itself. It makes the plot all the trickier whilst making the characters all the more three dimensional. Brilliant. I was shocked at the way these young people lied or prevaricated on the slightest excuse and then came out with another tale and confidently expected to be believed. I good mystery set in an old rambling house and I found that The Santa Klaus Murder gave me exactly what I would want in that realm of the genre. 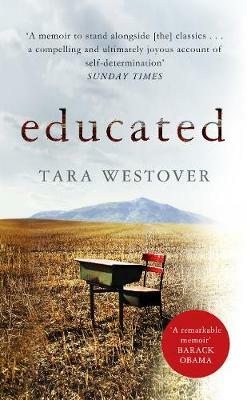 It is packed with plot twists, a whole host of unreliable and secretive suspects plus has all the domestic drama that comes in a novel where familial inheritance and gain is key, whether that is the killers motive or not. I whizzed through it and didn’t even mind that we had only one murder to solve, I quite like a few to get my little grey cells ticking (ha), I was so whipped up in just which Santa Klaus had done it, if they had been helped and who they actually were underneath the fancy dress. It was just the escapism that I needed from all the Christmas madness going on in the real world, festive British Library Crime Classics are going to have to become a new tradition for me every year. I am also thrilled I have the other two Mavis Doriel Hay novels on my shelves for future reading any season.